Our technicians frequently use soil probes to check for excessive thatch layers, stunted root growth, and poor water drainage when servicing your lawn. 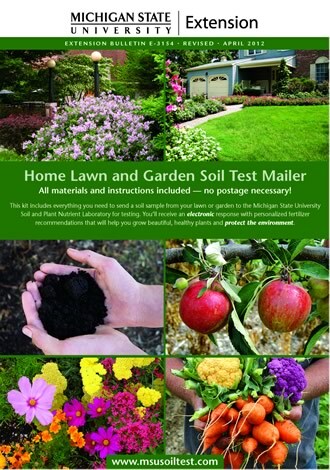 Mr Green Lawncare Corporation also offers a soil testing service through MSU. A basic soil test usually includes analysis of soil pH, phosphorus, and potassium levels. Soil test kits are available through Mr Green Lawncare Corporation. We will collect the soil sample and forward the information to Michigan State University for testing. A small testing fee may be attached to the service.